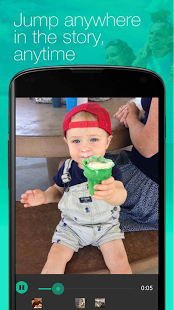 Add a special touch to your favorite photos! 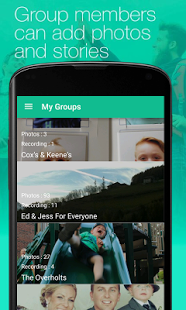 Record the voices and stories behind your photos and watch them come alive. 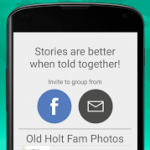 Share them privately so loved ones can listen to your stories and add their own. 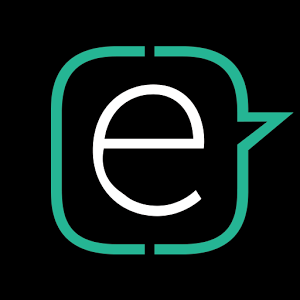 everyStory is a story-sharing app and website. 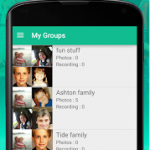 It’s an interactive photo album that lets you record and listen to stories anywhere, anytime. 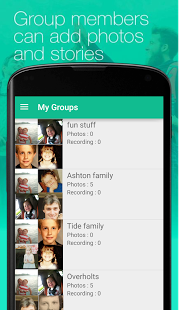 Naturally flip through photos and record audio stories from your loved ones. 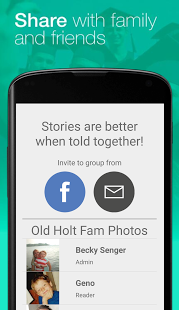 Later, you can safely share stories and photos with friends and family, and they can add new photos and stories too! • Audio Recording – Record stories ranging from minutes to hours naturally and organically. 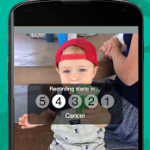 Multiple people can record over any number of photos to tell stories exactly how they should be heard. • Photo Importing – Import photos directly from a computer, your IOS photo album or scan physical photographs directly into the application with your device camera. 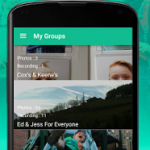 • Collaborative Sharing – Create groups, big or small, to enhance your memories through contributed photos or stories in a private sharing environment. 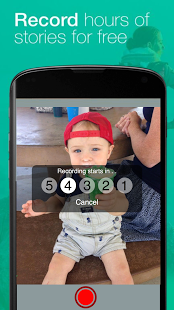 • Playback Capabilities – Listen to stories from the beginning, middle or work backwards. Our proprietary playback technology allows collaborators to enjoy stories any way they want. 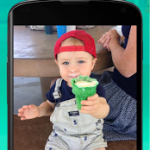 • Cloud-Based Data Storage – Both photos and audio are sent to the cloud automatically where they can be safely stored for generations.